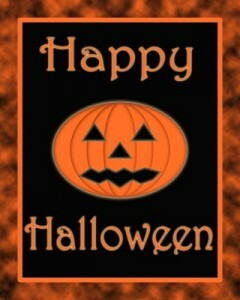 Have a Happy Halloween At Your Huntsville AL Home! Question: What do you do when 50 zombies surround your Huntsville AL home? Did you know that 86% of Americans decorate their houses for Halloween? And Halloween in the US is second only to Christmas in terms of consumer spending?! Halloween actually started as a kind of semi-serious holiday…it was a celebration of the end of the harvest and it is on the eve of All Saints Day (November 1st), also known as All Hallows Day. That is a day of remembering the saints who have departed this life. Hallows Eve, or evening, became shortened to Hallowe’en and then Halloween. Because it is a day of remembering the dead it conjures up images of ghosts and other spooky things in the night before All Saints Day. It has become a night of costumes and partying and trick-or-treating. In old Scotland trick-or-treating was known as “guising.” That came from the word “disguise,” as in “disguising” yourself using a costume to go around soliciting treats. Isn’t that a fun word? 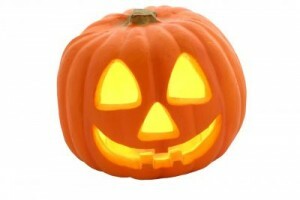 Speaking of fun, are you going to carve a pumpkin into a jack-o-lantern? What a fun way to decorate your Huntsville AL home for the holiday. By the way, the term “jack-o-lantern” is said to have come from the spooky appearance of peat bogs sometimes burning in the night. A burning bog flickers with small flames that look very spooky and unnatural at night. If you want some fun with transforming a pumpkin here’s where you can get some patterns and stencils. If you’re looking for some ideas for dressing up for Halloween try this website for costumes. And your Huntsville AL home won’t be complete unless you have plenty of treats on hand for the goblins coming to your door. Most of all have fun and enjoy the holiday. Question: What room does a ghost not need?